There are a number of simple stereo system upgrades and techniques that will greatly improve sound quality. The best part? Many of these options are affordable and easy to install. Many companies offer high-end speaker cables, some of which can cost hundreds of dollars per foot or meter. The benefits of these cables are many, particularly for very high-end stereo systems. However, the price often puts them out of reach for the typical buyer. Fortunately, in most cases, you can improve the sound of your system simply by installing larger gauge speaker wires. Many speakers and stereo systems come packaged with wire barely larger than dental floss; it prevents the system from performing at its best. Speakers should be connected with a minimum of 12 to 14 gauge speaker wire, especially if the system has a power output of 50 to 75 W per channel (or greater). Upgraded speaker wires are one of the best investments to improve performance. Speaker stands greatly affect sound quality – they go hand-in-hand with proper speaker placement. Speakers, including bookshelf speakers, should be positioned at head/ear height while seated. This way, you'll hear the best audio no matter whether you're sitting or standing. Speakers set directly on shelves, floors, or the inside of entertainment centers can reflect or distort sound. But by placing them on a stand away from walls, you allow speakers to deliver the best performance. Speaker stands come in a variety of sizes and types, most of which take up minimal floor space. Audio cables connect source components (CD, DVD, tape players, etc.) to a receiver or amplifier and can be as important as good speaker cables. Audio cables carry low-level signals, which are subject to interference and noise. Better cables are designed to shield the signals, leading to improved system performance and sound quality. You can expect to hear full audio detail, clearer imaging, and an extended frequency response. Speaker spikes are metal spikes that attach to the bottom of floor standing speakers. These spikes are designed to decouple the speaker from the floor, which helps to reduce secondary vibrations of other objects in the room. This means that you'll hear only the speaker (particularly improved bass response) and not any other vibrating objects. Speakers that can use spikes have recessed threads in the bottom of the cabinets. An alternative option is to place the speaker on a stand or platform that accepts spikes to be installed on the bottom. Room acoustic treatments are one of the best ways to improve the sound of any system. Bass traps, absorbers, and diffusers allow the listener to hear only the speakers and not the reflections that can come from walls, ceilings, or other hard surfaces within the room. Room acoustic treatments come in many styles and colors to accommodate living spaces and most any room decor. A powered subwoofer is required for a home theater system because film soundtracks often have a separate channel devoted solely to bass and special effects. There are other benefits of using a powered subwoofer in a stereo systems. They reduce the amount of amplifier power required to drive the left and right channel speakers, thanks to the way the subwoofer amplifies the bass. A powered subwoofer also reduces the strain on woofers to produce low, deep bass, especially with drivers smaller than 8 inches in diameter. A power conditioner provides steady, filtered voltage and current to stereo system components, allowing them to perform at their best. Amplifiers/receivers, DVD/media players, and other electronics have microprocessors that can be very sensitive to small fluctuations in voltage caused by local power providers. By supplying a constant voltage, there's less need to worry about an over-/under-powered system. Some power conditioners even feature surge protection. Correct speaker placement is almost as important as choosing the best speakers. Speakers emit sound waves that interact with hard surfaces and objects/furnishings within living spaces. Correct placement can help one get the best performance from speakers, especially when speakers are angled in to focus on a specific listening spot. Best of all, this costs nothing more than some of your time and effort. Bi-wiring a speaker is an inexpensive way to improve sound quality, easily accomplished by purchasing a set of bi-wire speaker cables. Some are just bare wire, while others come equipped with speaker connectors. Not every speaker can be bi-wired, but if the feature is available on your speakers, definitely take advantage of it. Speakers are the most important factor in determining the sound of a stereo or home theater system. Sometimes, the best and most effective audio upgrade (at least for getting the most bang for your buck) is a brand new set of speakers. Speakers come in a variety of types and sizes, including floor standing, bookshelf, in-wall, on-wall, and in-ceiling. 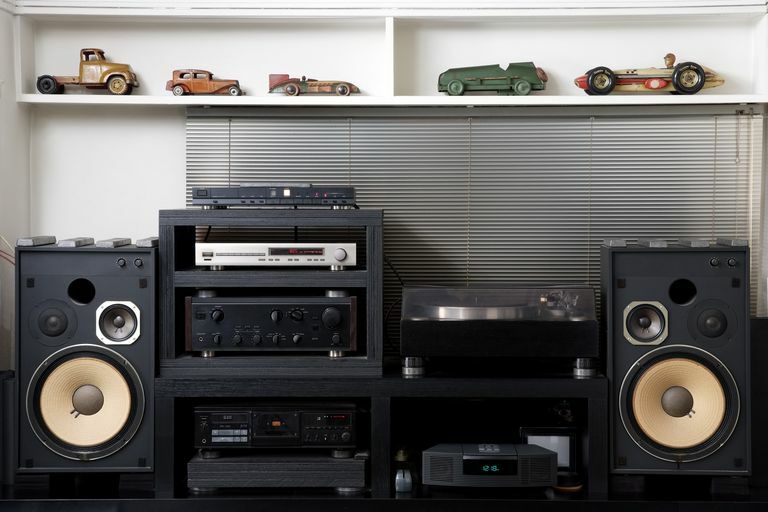 Personal needs will help determine how to choose speakers to best complement a stereo system.